Lectures, Courses and Seminars to study the origins, development and importance of the history of the vihuela de mano and its descendant the Spanish guitar. 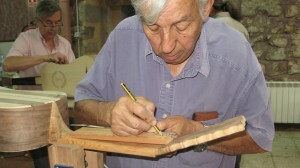 José Luis Romanillos on the Vihuela de Mano Course in 2010. Temporary exhibitions of vihuelas de mano and guitars organised by the Centre/Museum as well as in conjunction with other Spanish and foreign institutions. 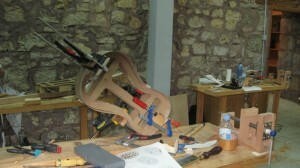 Restoration and construction of instruments in workshops with practical Courses. Concerts and recordings of music with antique instruments. 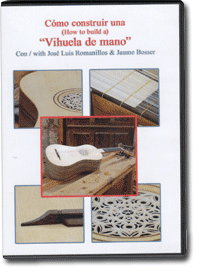 Publications about themes related to stringed musical instrument making. The Centre/Museum, in collaboration with the Diputación Provincial de Guadalajara, is creating a library relating to all the subjects dealing with the history and construction of plucked musical instruments. Also there are plans to catalogue and digitize the Santos Hernández Archive and the Romanillos-Harris Archive which eventually will be made available to investigators and people interested in the subject. Vihuela de Mano Course in 2010. The Centre/Museum will welcome collections of stringed musical instruments and documents related to stringed musical instruments whose owners wish to donate, deposit or lend temporarily with the idea to catalogue, digitize, exhibit or to restore. The Centre/Museum is promoted by the Diputación Provincial de Guadalajara with the collaboration of the Consejería de Cultura de la Junta de Comunidades de Castilla-La Mancha, the University of Alcalá de Henares, the Ayuntamiento de Sigüenza and is directed by the famous Spanish stringed musical instrument maker, José Luis Romanillos Vega. 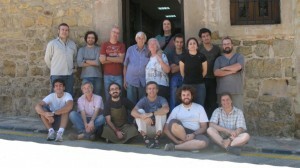 Participants on the Vihuela de Mano Course in 2010.